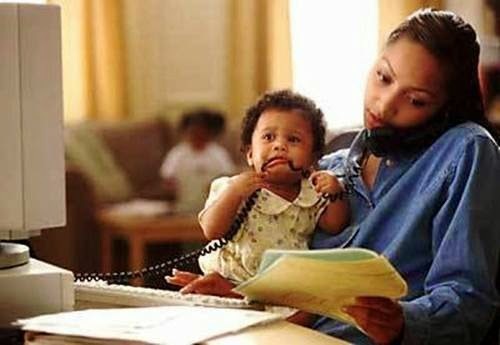 Many single mothers find it hard to let go and move on. I get it; it is difficult to do that when a baby is involved and his father is not man-ing up to his responsibilities but really ladies, it is never too late to let go and start over. I hear stories everyday of single mothers that stalk the father of their child, call his girlfriend or wife and even get restraining orders against him just so he won't be able to see his child. STOP using your child as a bargaining chip or a tool to get some attention from the man that walked out on you! Acrimony over lack of child support is understandable but if he is supporting his child, you don't have any business calling his house, insulting his wife or writing on his facebook wall. Yes it is difficult but let go and move on! Can you start a new chapter if you keep re-reading the last chapter you just concluded? NOPE! You might say "he needs to be part of every second of his child's life, I don't care if he is married to someone else!" the question is can you force him? For many fathers who walk out on their 'baby mamas', they believe sending a cheque every month is enough to raise a child. They don't understand the pain you go through from having to handle it alone, they don't understand the strain and stress involved in raising a child and trying to make a living simultaneously and believe me, some of them do not want to know. Does that mean you should harbour resentment and prevent yourself from reaching for the stars, no! You have a child's future to look forward to and believe me, on that day of success, all the trouble will be worth it. Keep strong, focus on what's important, forgive yourself for your mistakes and make sure you don't repeat them. Stalking your 'baby daddy' won't make him fall in love with you all over again, nor will it make him want to spend more time with his child. Instead, the opposite will be the case. Let him do right by his child with his monthly cheques and maybe monthly visits. That's what he figures parenthood is about; but whatever you do, don't let him steal your joy or prevent your heart from loving again. Hugs and kisses to all mums, single or married,. You rock!